What does Book Week mean to you? It's a celebration - and it isn't just for kids. Nobody experiences childhood without meeting fictional characters and having their lives changed in some way through such encounters, so Book Week is a time to reflect on the way stories enrich our lives. Who was your favourite book character as a child? That's a tough one, but I think I'll name Tom Sawyer. Mark Twain's stories depicted a wild Mississippi delta populated by colourful characters, and I hankered for Tom's double life. Who is your favourite character that you’ve written? They were all favourites at the time they were written, but I'm especially indebted to Ossie Updike. Once he came to life in my imagination, he told me what to write and how to write it. 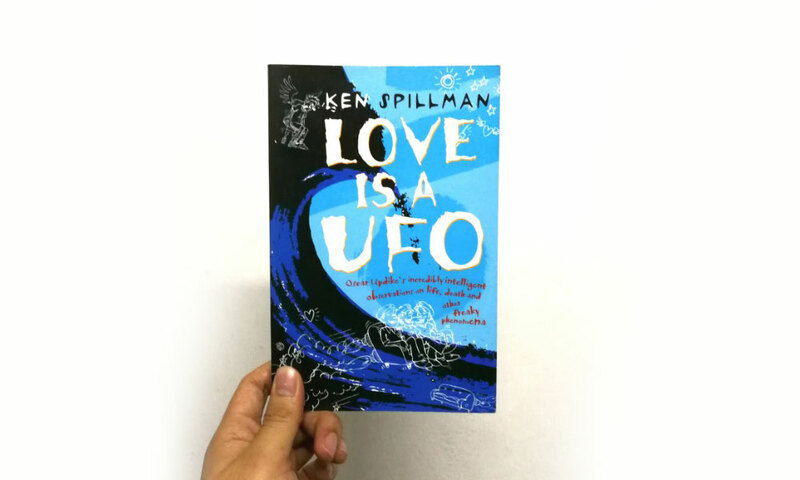 My YA book Love is a UFO was the result. How will you be celebrating Book Week? After a crazy 2017, I made a decision to do fewer appearances this year. Even so, I'll be out and about having fun, making sure that kids know they can bring their own special magic to the magic of books. Follow Ken on Facebook and Twitter to find out more.